Another niche showcase. 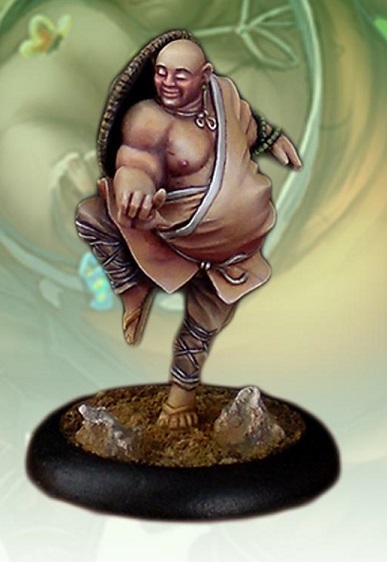 This one of asian martial artists, chinese / mongol / korean armies and wuxia fantasy settings. I'm sure I'll paint something again sometime. . . . I promise I'll let you know. 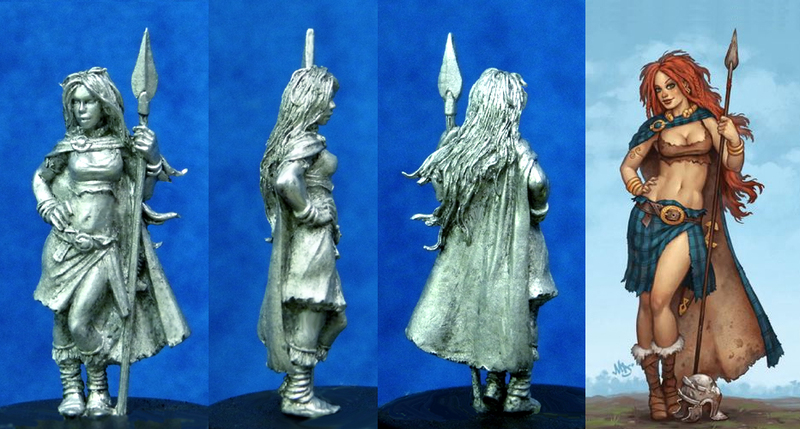 So far nothing smaller than 28mm, but 15mm might be added at a later time. As both an excuse to share painting progress, and as a motivational measure, I've agreed to paint the same figure that another person or three are also painting. We've given our selves a deadline of early July to allow for all sorts of distractions, but also to give time for other folks that might want to join the endeavor time to get the same figure, and put aside some time to work on it. We're painting Boudi, from Hasslefree, a stylized female fighter inspired by Boudicca, and originally commissioned as a convention give away for the Diceni show in Norwich. As of last night, I have mine primed, and the flesh base coated. Also rumor has it that there may be some Hasslefree goodies awarded to a lucky participant.